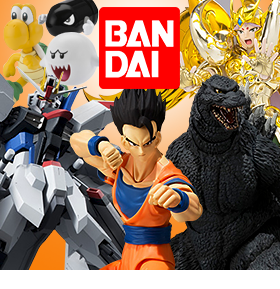 Toy Nippon: BBTS News: Super Mario, Star Wars, Punisher, Aliens, Doctor Who, Marvel & More! 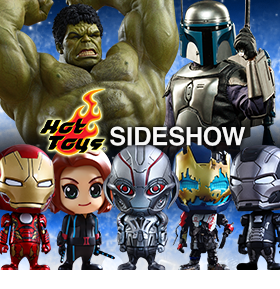 BBTS News: Super Mario, Star Wars, Punisher, Aliens, Doctor Who, Marvel & More! Joining the incredible S.H. 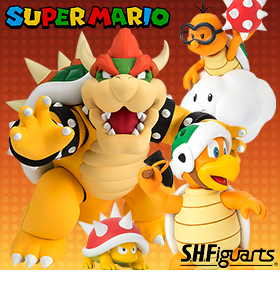 Figuarts Nintendo lineup is the 5 inch tall Bowser, legendary rival of Mario for $64.99; as well as Play Set E containing the formidable Hammer Bro, Spiny and Lakitu for $42.99; and Sailor Moon fans can get ready for a super transformation with the Rainbow Moon Chalice replica featuring light up crystal and transformation melody for $106.99. Tamashii Nations is bringing back Mazinkaiser SKL (Skull) with a brand new, darker coloration theme truer to the original anime. Not only that, the Wing Cross Ver. comes with a new wing unit instead of a cape in order to recreate the combination action from episode 3! 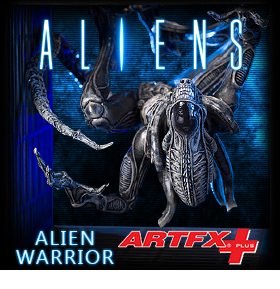 There is also an additional attachment piece that allows you to pose the sword on his back. But that's not all; there is also a newly sculpted head piece with damage cracks and a yellow eye. The set also includes interchangeable hands, wingle wing unit (wing parts), sword, sword attachment joint, and breast trigger parts. Playge is collaboration between Ferg the designer and ThreeZero the manufacturer. Project Squadt tells the story of how the Squadts used a decimated Earth as a prison planet to get rid of thousands of prisoners from their home world, but when the ship crashed, the violent and deviant survivors divided into opposing gangs and adopted leftover human technology as their own. The Gassed figure stands 3.5 inches tall and comes in a cloth parka with 2 sets of arms and a removable helmet. The 13th Twin Legion was part of the Imperial Roman army and the unit that famously crossed the Rubicon with Julius Caesar. During the civil war, Legio XIII Gemina remained faithful to Caesar until they were disbanded and retired by their leader. This 12 inch Lucius figure features 30 points of articulation and faithfully reproduces the armor and weapons used by the members of the 13th Twin Legion. An 8th degree black belt in five martial arts; an expert in long bow, samurai sword, throwing stars, and nunchuku sticks; the leader of the Ninja-Ku clan; arch nemesis (and eventual ally) to Snake Eyes. The Cobra ninja known as Storm Shadow has worn many disguises throughout the years. 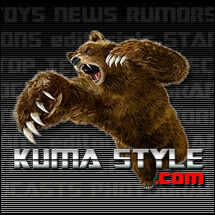 Now celebrate his most well-known stealth costume with this exclusive Ninja-Ku POP! Recreate your favorite races from the hit anime Future GPX Cyber Formula with the 7 inch long (1/24 scale) Experion Z/A-8 car that includes an unpainted mini-figure of Naoki Shinjo and a base for $99.99; and with the Volume 05 Collection Box of 6 that may include #30 (Kazami), #21 (Lope), #52 (Heinel), #5 (Shinjyo) and #9 (Kaga), complete with decals and pit crew mini-figures for $64.99. Kotobukiya's ARTFX J series, bringing your favorite characters from Japanese Animation to life, continues with Kusuriuri from Mononoke! A wandering, nameless character known only as "Medicine Seller" or "Mr. Medicine Seller" continually encounters, combats and subsequently destroys various mononoke. The Medicine Seller always uses his knowledge of the supernatural to fend off the mononoke until he can learn the spirit's Shape (Katachi), Truth (Makoto) and Reasoning (Kotowari). Only then can he unsheathe his sword and exorcise the demon. This dramatic 8.5 inch tall figure recreates the mighty fighter in perfect detail, complete with multiple facial expressions, poseable hair and a halo. The Battle for Zendikar is the first expansion pack for the Magic: The Gathering Arena of the Planeswalkers tactical board game. The expansion features 2 additional powerful Planeswalkers: Kiora and Ob Nixilis; and it also introduces additional creatures, spell cards, and the first-ever hero creature: the massive, world-eating Eldrazi Ruiner. 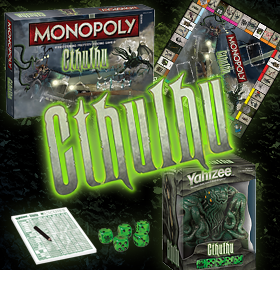 It includes a special battlefield scenario for epic showdowns in which players can team up against the single player controlling the Eldrazi Ruiner. Agent Phil Coulson took pride in his complete set of Captain America trading cards. It took him years to collect and now that Steve Rogers has been woken from the ice, he was hoping to get them signed. As Coulson loved to tout "They're vintage and near mint." Nick Fury uses the blood stained cards to give the Avengers "a little push" to assemble. This set includes 2 complete sets of cards: “Near Mint” and “Bloody” for a total of 24 cards. These cute little banks also have a magnetized belly which will hold paperclips and other small metal items, and can also hold business cards. Choose from Iron Man, Captain America, Hulk, and Ultron; or collect them all! CDMW-40 Construction Brigade Power Parts includes shoulder braces for both arm extensions, re-sculpted waist shield with movable lateral parts, and new waist shield stickers for $29.99; and CDMW-41 The King’s Power Parts includes a newly designed Tiger-Lion connection part, optimized Eagle-Lion connector, gold stickers for CDMW-26 Lion Mane, comic accurate gold visor faceplate, and four screen-accurate spears for CDMW-23 knuckle dusters for $31.99. This 6.5 inch tall figure designed by Ashley Wood is part of threeA’s String Divers line and comes with 3 weapons, a semi-transparent attachable helmet and back gear, and a chrome head. The latest releases in Prime 1 Studio’s museum master statues line and premium bust line are the Galvatron Polystone Statue, Galvatron Bust and Optimus Prime Bust. The Galvatron Statue stands over 30 inches tall on a heavy base for $1899.99; the Galvatron Bust is 9 inches tall for $329.99; and the Optimus Prime Bust is 8 inches tall and limited to 888 pieces worldwide for $299.99. The Walking Dead characters have been pushed to their limits once again! The latest addition to the Pop! Vinyl line of figures contains Rick Grimes and Michonne in their Season 5 attire, as well as Morgan and Abraham for $9.99 each; and fan favorite, Daryl Dixon is now in Fabrikation form for $19.99! Ever felt like you were surrounded by zombies? Enlist your best buddy to help you make the dead... dead-er. Help Shaun stop the zombie uprising and have some flesh-eating fun with the Shaun of the Dead Pop! Vinyl Ed and Shaun Bloody version exclusives. These limited edition versions of Ed and Shaun feature a special blood-splatter deco and applies Funko's unique stylized vinyl look to actors Nick Frost and Simon Pegg. Armed with a shovel and a cricket bat, the Shaun of the Dead Bloody Ed and Shaun Pop! Vinyl Figures are a great addition to any Pop! or zombie collection. The long awaited Nendoroid of the Hatsune Miku spin-off character Kasane Teto is finally here! Even her trademark drill-shaped twin-tail hair has been faithfully preserved on her Nendoroid! She comes with both a smiling expression as well as a sneering expression, and her beloved French bread as well as a panzerfaust-shaped microphone are also both included allowing fans to enjoy all sorts of poses from Teto's popular songs and more! 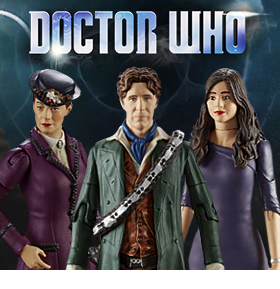 We have three all new 1/10 scale G.E.M. Series figures from Digimon Adventure including Yamato “Matt” Ishida with Gabumon and Taichi Yagami with Agumon for $54.99 each as well as Ichijoji Ken with Wormmon Exclusive for $69.99. These spider-like electronic walking figures of Tachikoma, the artificial intelligence walker in Ghost in the Shell: Stand Alone Complex are just over 2 inches long and come in either clear blue or metallic blue versions. From the Anime series "Gatchaman Crowds", comes a Nendoroid of the main character, Hajime Ichinose! She comes with a standard face overflowing with confidence, a bright smiling expression as well as the excited expression she shows whenever she finds cute things. Optional parts include the "NOTE" that she uses to transform into Gatchaman and the duck backpack she uses for school. A red scarf part is also included to display her as she looks after her promotion. This adult collectible from Jalic Blades is officially licensed from HBO's hit series Game of Thrones and is an edition strictly limited to 2500 pieces. It measures 42 inches long with a stainless steel, unsharpened 30 inch blade, a hilt of plated and painted cast metal with faux ivory inserts, and comes with a silkscreened wood display plaque bearing the Lannister sigil and a certificate of authenticity. Giant Robo is nearly 7 inches tall and features optional hand parts, megaton punch parts, Jabara covers for the shoulders, rocket firing effect and a non-scale Daisaku Kusama shounen figure. Relive the majesty of Marvel's Ant-Man by collecting Ant-Thony! The carpenter ant, and Scott Lang's noble steed, has been immortalized as a Pop! Ride! Just make sure he doesn't drop Ant-Man again! Santa himself has been created in the 8 inch retro figure format. Santa will be dressed in a detailed cloth Santa suit, complete with hat and belt. The detail on this Santa allows him to fall right in line with all of your Figures Toy Company superhero and superstar retro figures! By utilizing some of the galaxy's finest robotic work, we've somehow made cooking dinner that much more exciting! Whether you're turning a well done Tauntaun steak over a bare lightsaber blade, or pulling a dish of blue milk mac and cheese from the oven, these bad boys will keep your hands safe from the heat. Modeled after R2-D2's iconic look from the original trilogy, these fabric oven gloves are kitchenware for a more civilized age. Get the Two Pack for $18.99 or just one glove for $10.99. 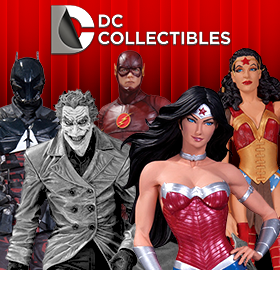 Deck the Halls in DC Comics this holiday season with stocking hangers, nutcrackers, stockings, lighted water globes, Santa hats, light sets, and garland featuring Batman or Superman. This list also contains Superman, Batman and Wonder Woman Clip On that can be used as ornaments or clipped on to a backpack or purse. Thunderbirds Are Go! and the Tracy family is ready for action! In celebration of the 50th anniversary of the original 1966 television series Thunderbirds, comes the all new British-New Zealand animated series Thunderbirds Are Go and the action figures, vehicles, and play sets to go with it! When disaster strikes... International Rescue answers the call! Get the whole set of Thunderbirds Are Go! action figures and vehicles as well as die-cast versions of the vehicles. You’ve seen the movie so why not get your very own “Thunder Buddy”? The 16 inch animated Plush Ted moves when he talks—but we must warn you, the phrases have R-rated content and are not suitable for children. Regular Ted is $39.99 but we also have Ted in a tank top, suit or jersey for $49.99 each. Travel back to the groovy 1970s with the Shogun Warriors Godzilla! Made to replicate the original vintage design, the 19 inch tall Shogun Warriors Godzilla features flicking tongue action, rolling wheels under the feet, and a firing right fist! Fans can continue to collect their favorite characters from Marvel’s vast universe of comic-based characters. 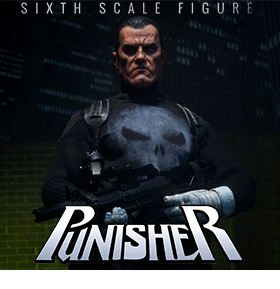 These impressive 3.75-inch scale figures feature detailed articulation, sculpting, and deco. Series 03 includes Colossus Jugolossus, Northstar, Marvel’s Chameleon, and Marvel’s Korg for $16.99 each and Deadpool and Emma Frost for $19.99 each; or get all six figures in a set for $77.99 or in a case of 12 for $149.99. This item is the second in a line to make the combiner robot Shuraking. SRK-02 is in the voyager class size range and transforms from robot to dinosaur. This figure also becomes the leg of the combiner Shuraking. Made from resin and hand painted, the hockey mask worn by Jason in Friday the 13th Part 3 includes leather-like straps so you can wear the mask or hang on the wall for display; and own a perfect replica of Freddy's glove from Nightmare on Elm Street 3: Dream Warriors! Each hand-crafted piece is formed of a distressed leather-like glove with riveted metal attachments that is sized to fit most adults and includes a mannequin hand form for display when you're not wearing it. Jason’s Mask is $31.99 and Freddy’s Glove is $67.99. Inspired by the Hasbro vintage GI Joe A Real American Hero figure, Gentle Giant is proud to bring you the GI Joe Machine Gunner, Code Name: ROCK ‘N ROLL. One of the first figures released in the series that started in 1982, Rock ‘N Roll is now the FIRST figure in an ongoing series of jumbo vintage figures. Now you can wield the Assassin's newest weapon, the cane sword; a must-have collectible accessory for fans of the Assassin's Creed franchise. This life-size replica of Jacob's signature weapon in Assassin's Creed Syndicate features a fully detailed sword and button-triggered spring-loaded scythe blade. The intricately sculpted plastic cane sword is 36 inches tall. Display this as part of your collection or wear it to complete the ultimate Assassin look.